First off, this article contains major SPOILERS for the season 7 finale of Game of Thrones, so read at your own risk. Chaos is indeed a ladder. Long-time fans of the show were finally treated to the death of the sneaky master of chaos, Petyr Baelish, aka "Littlefinger." Aidan Gillen (The Dark Knight Rises) has played Littlefinger for the last 7 years he recently sat down with Entertainment Weekly to discuss his feelings about the inevitable fate of his character and how he felt about the shocking way in which Littlefinger went out. The actor also reveals some insight into his character's attempt to play Arya Stark against Sansa Stark in the 7th Season. Many fans had been waiting to see just how Littlefinger would get his comeuppance, but many were more than likely thrown off with the way that it finally played out. Sansa brought Arya to the throne room for what many thought to be a confrontation over Arya's strange behavior towards her sister. Sansa quickly revealed that it was in fact Littlefinger who was on trial, much to the chock of the master manipulator and cockroach of the Game of Thrones series. Sansa then accused Littlefinger of multiple crimes including killing their aunt Lysa Arryn, conspiring to kill their uncle Jon Arryn, committing treason by holding a knife to Ned Stark's throat, and attempting to assassinate Bran Stark. The new Three-Eyed Raven, who was mysteriously missing from the 6th episode when Arya and Sansa fought each other, provided the evidence needed to convict Lord Baelish when he shared his visions. Sansa declared Littlefinger to be guilty, and Arya cut his throat with his own blade. 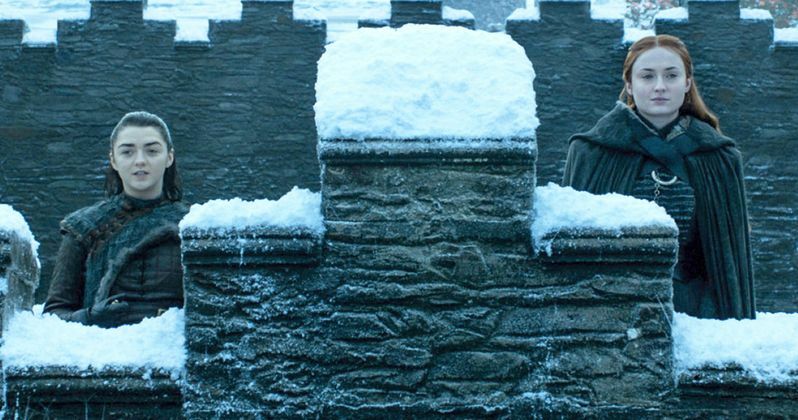 When asked how he felt about Littlefinger meeting his demise, Aidan Gillen explained that he thought more about what the seven years of being on the show felt like. The actor had this to say. "You're left a little bereft - for your character and for your experience. It also immediately makes you quantify the hugeness of what that experience has been over the last seven years, which has been massive." Gillen went on to talk about Littlefinger's absence from the last season and his satisfaction with the character's story arc over the course of Game of Thrones Season 7. Littlefinger's death had pretty much been foreshadowed over the course of the season. Gillen explains. "Even if I'm only in a few episodes, like last season I probably had less than any season, once your character is established as part of the world people feel like you're there all the time. So it's not really an issue for me how many scenes I'm in as long as the scenes are good, and they're well put together, and your contribution is good. Then people feel like you're there all the time. I'm glad I had a good story to finish with." Gillen also spoke about Littlefinger's ploy to pit the Stark sisters against each other, comparing his character's actions to those of a gambler. Gillen says this. "With carefully laid plans there's always a bit of risk involved. He's put himself in a situation that could backfire on him. I think he likes it. (His plans) are never fail safe. But he puts himself on the line like a good gambler." Littlefinger did seem to be taking a huge gamble while trying to implement his final ploy. Gillen revealed that he had assumed beforehand that Arya would deliver the blow while talking about some of the foreshadowing done in his final season. Gillen explains. "Well, I did an interview with a publication (in 2015) and they asked me how I thought I would go. I said I thought Arya would deliver the blow. So it was as promised. And even within the scene, as soon as he walks in that room and Arya produces the dagger he knows the game is up. He at least suspected the game was up back in episode four when Bran told him, "Chaos is a ladder." For Bran to come up with that is beyond coincidental." Season 7 of Game of Thrones gave entirely new insight into Littlefinger and the final episode even saw some redeeming qualities come out of him as he begged for his life. Aidan Gillen did a wonderful job trying to bring some warmth into such a villainous and manipulating character, but it appears that Littlefinger had finally gone too far up the chaos ladder. We'll just have to wait until Season 8 to see how the Arya and Sansa Stark work together after trimming some fat from their camp.